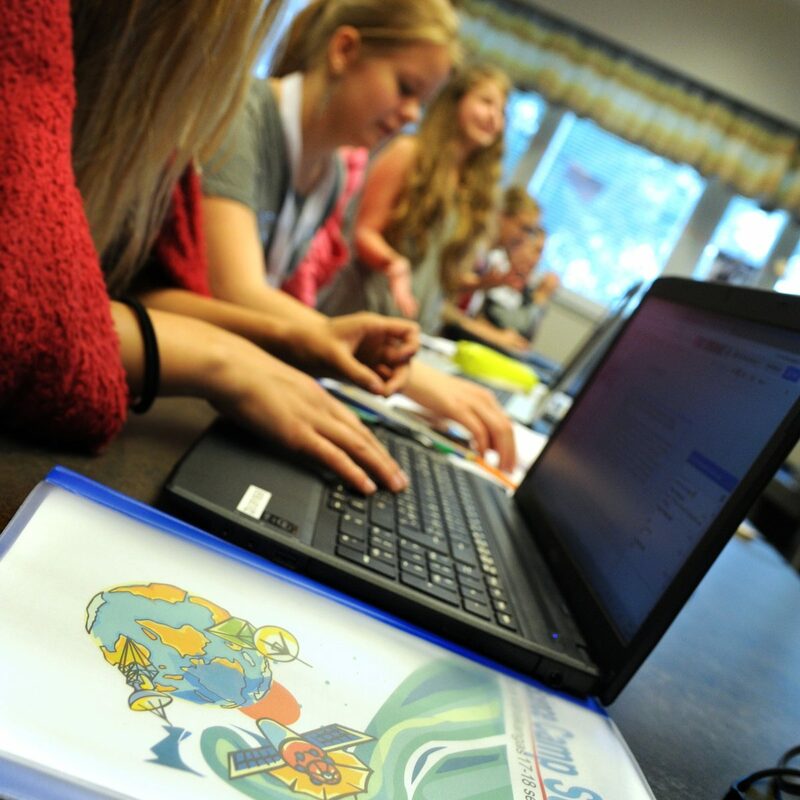 Why bring space into the classroom? 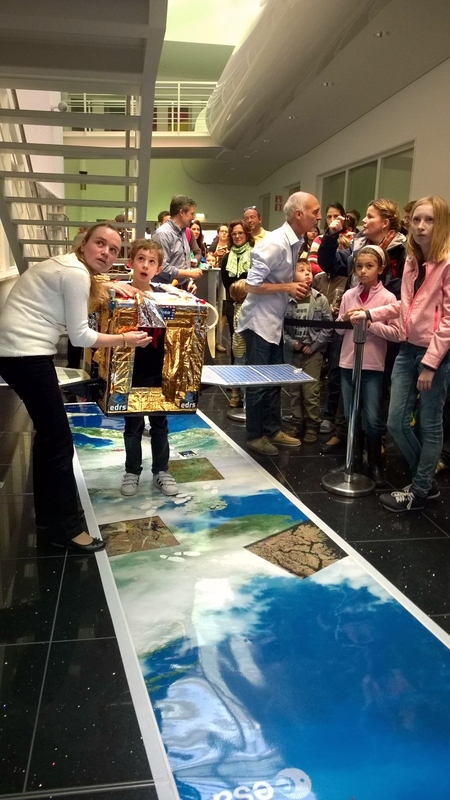 A young visitor at ESTEC Open Day event 2015 moves across the Earth like a Sentinel satellite, attempting to make a laser link with an EDRS communication satellite. The first answer coming to mind is simply “Why not?”. But – There’s a lot more to it. First of all, teachers should be updated on space science. We all should. It’s not an easy task, though. Just reading the news about space science and space technology takes time. Understanding the basic concept often takes more time. The good thing is that it is interesting, and the excitement grows with the job. Furthermore, education is dynamic. Something to be worked upon during a lifetime. There is, of course, quite a lot that has been considered right, or proper, at the beginning of its existence or the beginning of the knowledge of its existence, then found out to be false, or at least not of great benefit, some years later. But, it’s more to it than just knowing. It’s about finding out. It is about the knowledge about the best modern ways to find today’s answers to the questions of the past as well as issues of the future. The younger ones in a classroom are the people who have to deal with the shortcomings of the elder. On the other hand, they have an advanced starting position. That’s what every generation have to hand over to the next one. In fact, it is as much inspiring the future generation as handing something over. If the knowledge of the pupils, or the students, don’t at some point exceed the teacher’s, the latter one hasn’t done the job a teacher is set to do. Then again – Why bring space into the classroom? Don’t we have problems enough to take care of here on Earth? Well – Spinn offs from space industry is a part of our everyday life and, if we are talking about issues like the safety at sea, oil spill, deforestation, and climate change, space technology comes in handy. 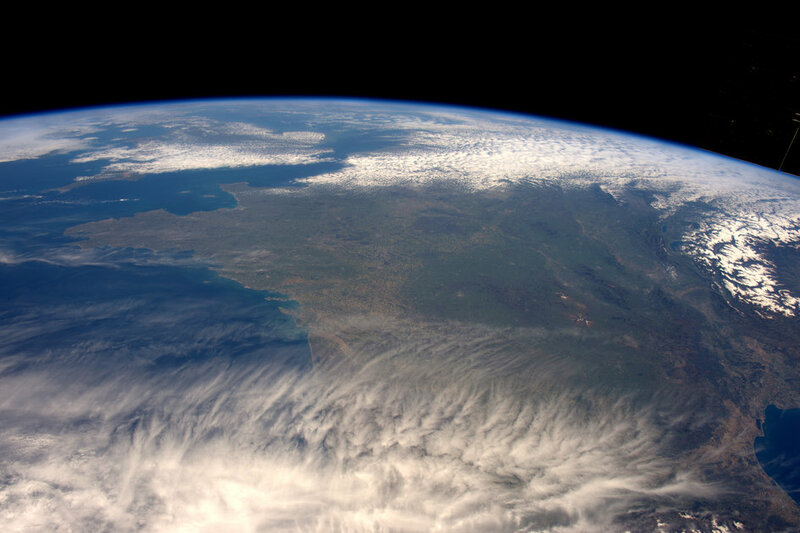 Learning more about planet Earth through the eyes of our satellites put things in perspective. Looking at highly scientific data, wrapped up as images, also creates questions, curiosity, and motivation. The fastest way to spread information and knowledge is through images. Data Visualization, therefore, is important to make the information available. Global data is used to create global maps, showing different aspects of which visual light is just one. Earth Observation data are, through agreements between environmental, and space agencies, in large scale accessible to users worldwide. That, combined with the ability to use the tools of mathematics, will make it possible for the ones who learned how to see for themselves. STEM education is something that comes with a certain amount of work. That brings motivation to a pivotal role. A motivated pupil, or student, doesn’t fear hard work. Just looking at a live view from the international space station tend to generate questions through which the teacher can guide the class to a wide range of subjects. “What’s the velocity of the space station?”, “What’s its altitude?”, “Is it that much clouds all the time?”, “Is that the coast of France?”. Questions like these naturally open up the libraries of science and mathematics. 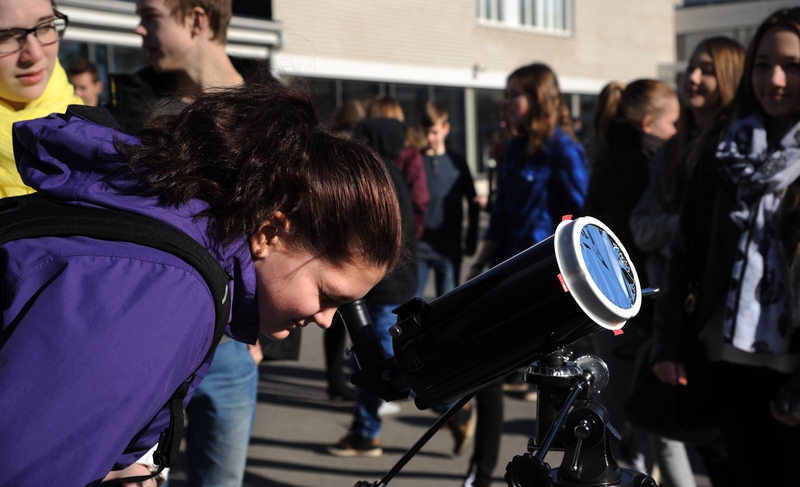 A telescope, equipped with a solar filter, usually catches attention during a break a sunny day. Talking about renewable energy, looking at the Sun comes naturally. After all – The Sun is the only star close enough for details to be visible. Every other star is just a dot using even the largest of telescopes. Both on the ground and in space telescopes are looking at our own star. Monitoring the Sun is as interesting as it is important. Remember, though, that the same solar storms that look so beautiful on the screen and sometimes causes the most amazing auroras in polar areas also can affect radio communication and be a threat to our electrified society. 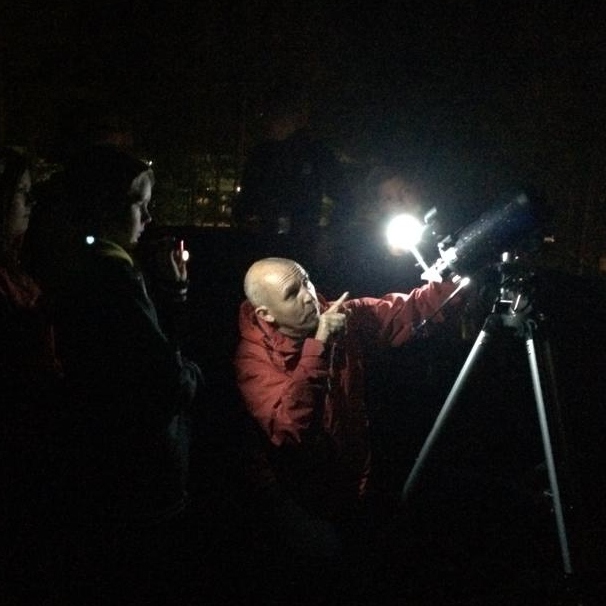 Using space science in the classroom is far more than looking at the planets and star constellations. It’s a scientific playground enlargening the understanding of our own place in the universe. 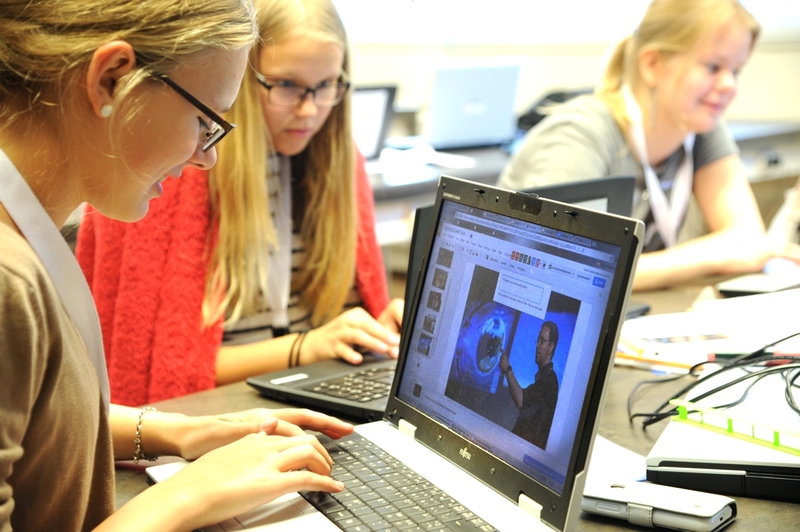 Bringing space to the classroom is opening up a space for science!